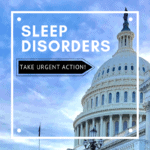 Please join us for the international Sleep In 2019 (#SleepIn2019) over the weekend of March 8-10, 2019, to raise awareness about sleep and sleep disorders in celebration of Suddenly Sleepy Saturday/Narcolepsy Day (March 9) and Sleep Awareness Week (March 10-16). Our fifth annual Sleep In 2019 is an awareness and fundraising event taking place IN YOUR BED! We challenge YOU to stay in bed for 12 – 48 hours to “make peace with sleep” and invite your friends and family to get involved. 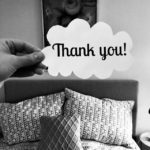 For one restful weekend each year, we take to our beds to raise awareness and connect via social media. YES, I WANT TO SLEEP IN! 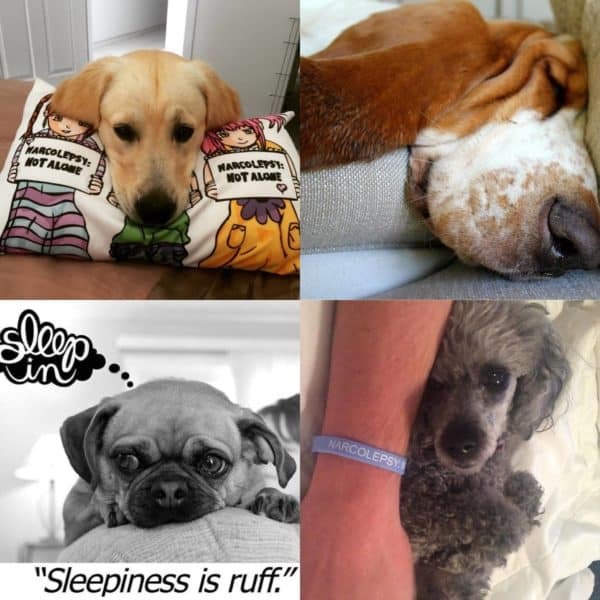 Calling all sleep-loving people & pets! Sleep is a misunderstood and often-overlooked pillar of health. 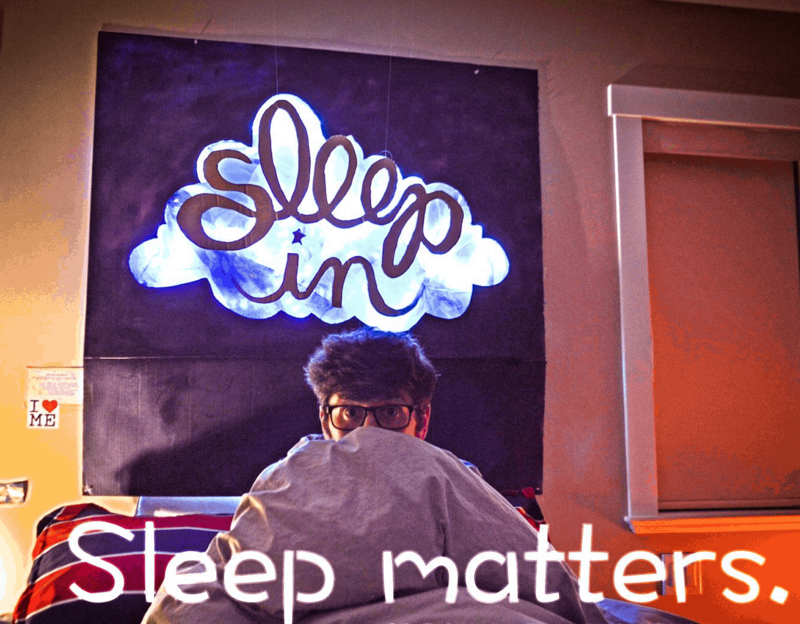 Whether you are a sleepy teen, person with a sleep condition, sleep professional, company, organization, or sleep enthusiast, your participation matters! 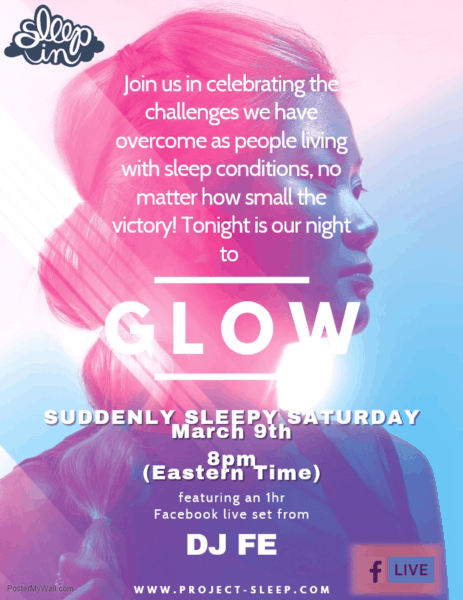 Join participants around the world for a virtual dance party/live DJ set spun by DJ Fe on Suddenly Sleepy Saturday, March 9 at 8:00 p.m. ET via FB Live. DJ Fe is one of the hottest DJs in the Hudson Valley, NY area and a person living with narcolepsy. She’ll mix a special set for us to celebrate of the adversity we overcome. 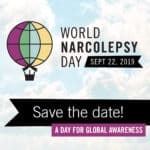 Learn how narcolepsy brought DJ Fe closer to music. 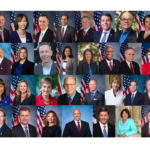 Share your participation loud and proud! Let’s start flooding social media using Sleep In Graphics and #SleepIn2019. What would I do in bed all day? We understand, the concept of “prioritizing rest” can be confusing. 😉 During the Sleep In, we encourage you to make posters, invite friends to play games, invite the local media to visit you, build forts, post photos (#SleepIn2019 @Project_Sleep), join our social media events, take a nap, do yoga, catch up on our new Rising Voices video series, read a book. Have fun with this concept! 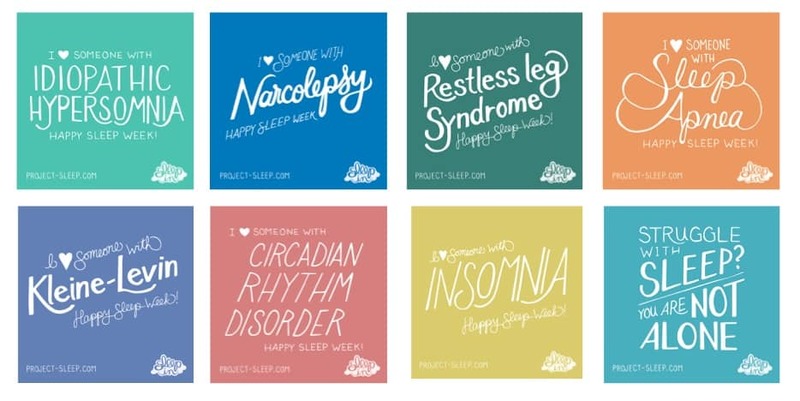 Project Sleep will be in bed all weekend, flooding social media and connecting with participants around the world.